There are so many advantages of homeschooling, such as being able to go on field trips as often as you want, and time for exploring passions and extracurricular activities. 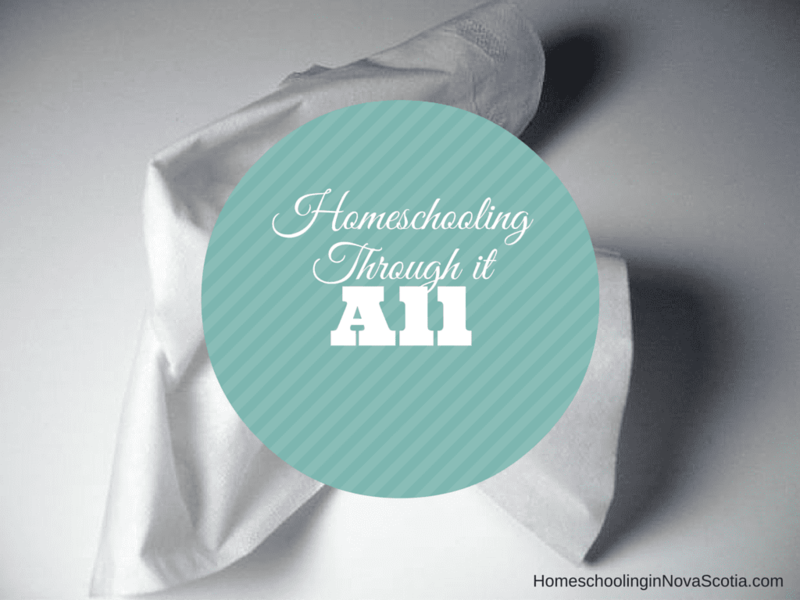 But how do you homeschool through illness, family stress, or crisis? When we first moved provinces almost 10 years ago, my then 8 year old son had a little trouble adjusting. He missed his best friend and he missed simply being able to walk over to his friend’s house almost anytime, having moved from a suburb home to a rural one. For the first few months of homeschooling that year we were able to keep a light homeschooling load. We took a day off whenever he felt overwhelmed by it all, and we spent a lot of time outside on our new 50 acres of land as well as sight-seeing across our beautiful island of Cape Breton. Minor illnesses are easy. Whether I am sick (as I am right now) or my kids are sick, we usually still homeschool to a certain degree, but it’s often limited to some light reading, with perhaps a few educational videos. If any of us are experiencing some stress, we can take a day off, a few days off, or even a week off. Then we come back energized and ready to dive right back into homeschooling again! In our first year of homeschooling, when my son was 6 years old, he contracted influenza. My poor child was ill for weeks and felt a lingering weakness for some time afterward. We were able to take it easy and introduce homeschool work gradually once he started feeling a bit better. I hate to think about how stressful it would have been if he was in public school and stressed out about catching up on all the work he’d missed. Even worse, we might have been pressured to send him back to school when he was still in a weakened state. Recently, one of my family members in Ontario was sick in the hospital. My 17 year old son and I were able to drop everything and drive out to visit. It was time well spent and we were very happy to help out and see our loved one get released from the hospital before we came back home again. My 12 year old stayed home with her father and went about her usual extracurricular activities. working on some light homeschooling while we were gone. The flexibility of homeschooling through it all is a wonderful advantage – homeschooling is flexible and we can adjust the work load to suit us at any given time, including taking some time off. Have you experienced the advantages of homeschooling through it all? Please let me know in the comments below! Thinking about starting to homeschool? 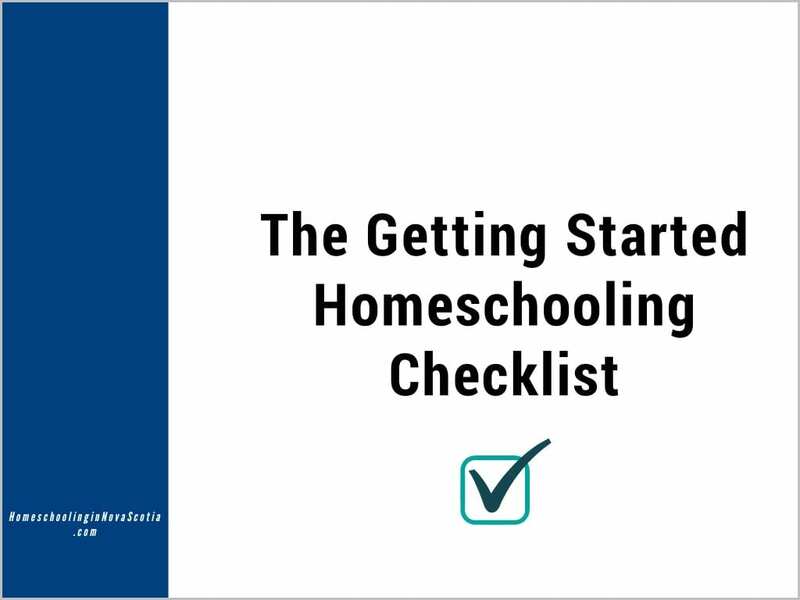 Check out the Getting Started Homeschooling Checklist! Next Post Free Online Homeschool Conference!